In the midst of London's Impressionist and Modern Sale week Barnebys highlights sales that will make you gyrate your hips to rock'n roll, revisit childhood through antique toys and appreciate Picasso even more. Sotheby's department of Books and Manuscripts has assembled a vibrant sale with objects that map the fast-paced history of rock and roll, a history driven by charismatic, enigmatic and controversial personalities like Bob Dylan, Debbie Harry, Mick Jagger, Jim Morrison and Elvis Presley. The 147 lot sale includes a diverse range of objects ranging from signed photographs, letters, posters, manuscripts and instruments to costumes. 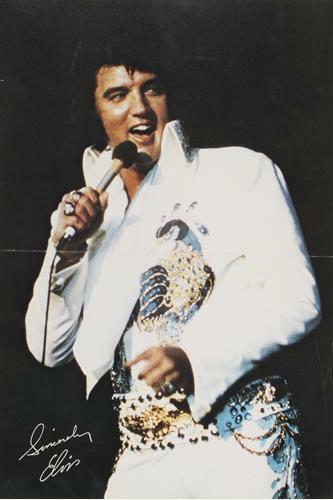 Presley's peacock jumpsuit with rhinestones and gold lame detailing first worn on 11 May 1974 at a concert at the Forum in Los Angeles is estimated to sell between $200.000-$300.000, unsurprisingly the peacock was a lucky token of "The King of Rock 'n Roll" whose appearance was a large factor in his rise to fame. 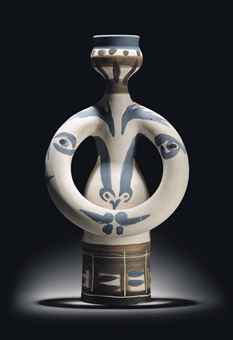 Picasso Ceramics, June 26 at Christie's, South Kensington, London. Impressionist and Modern Art week is in full swing in London with day and evening sales at both Sotheby's and Christie's. We have chosen to highlight the sale featuring unique and edition ceramics by one of the greatest artists of the 20th century, Picasso. A medium that is gaining more attention; several ceramicists were included in the Whitney Biennale, many galleries at Frieze, New York showcased ceramics and ceramics is a large feature in the Lucio Fontana retrospective at Musee d'art moderne, Paris. The 170 lot sale with estimates ranging from $350- $100.000 follows the succesful sale Impressions in Clay: Pablo Picasso Ceramics, not only were all lots sold it also exceeded its pre-sale estimate. 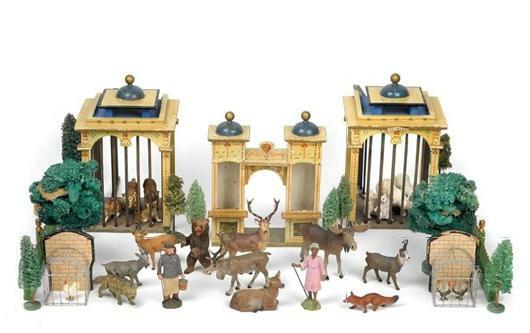 Coveted collectors items awakening childhood memories and feelings of nostalgia are on sale in Dorotheum's toy sale. Dolls, teddy bears, model trains, trams, stations, accessories, cars, motorcycles, ships and other vehicles, doll houses, doll house interiors, mechanical toys and historical tin toys by brands such as Arnold, Bing, Carette, Distler, Doll, Elastolin, Fleischmann, Hausser, JNF, Lehmann, Lineol, Märklin, Matchbox, Schoenner, Steiff, Wollner and offerings from numerous other renowned and traditional toy manufacturers are featured in the sale. Opening prices range from $70 to $2000.